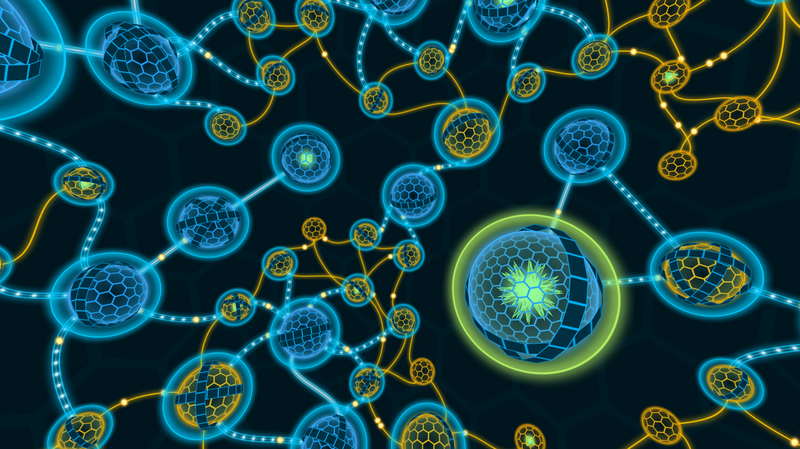 Vancouver based game developers Archiact VR Games are remastering their successful PC hacking simulator DarkNet for the PlayStation VR. This updated immersive hacking sim features a neon aesthetic and grid based user interface is due out this spring. Archiact VR Games also released a small launch trailer to promote the game’s impending release on PlayStation VR. It gives the viewer a good sense of what the moment to moment gameplay of selecting nodes on a virtual grid in-front of the player but does little to explain the mechanics behind these selections. The devs obviously designed the game from the ground up for virtual reality – with the aforementioned grid requiring the user to turn their head in order to take all of it in. Underneath this grid user interface is a series of challenging logic puzzles which promise to test players ability to problem solve under pressure. A brief interactive experience based upon the full game – not necessarily a traditional demo but more of an original experience designed after the principals of DarkNet – is available on the game’s official website if you happen to have an Oculus compatible headset. The game passed the Steam Greenlight process in the summer of 2014 but appears to be currently only available through the Oculus Home store right now, the full version is priced at $11.00 CDN on PC and will be priced at $14.99 USD upon launch.